In years past, we have relied on the annual dinner and auction to raise a large portion of our PTA funds. 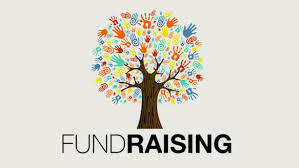 We are doing a “Knights Club” giving campaign as our major fundraiser this year and are asking that you make a contribution to this fundraising campaign. In addition, the PTA is partnering with the Spring Branch Education Foundation (SBEF) to make donating easier, more flexible, and more appealing to businesses. ​If you have any questions, please feel free to contact Gina Keith at (281) 224-3539. All donations will be run through SBEF. Click Learn More below for See the FAQ's for more information about donating through SBEF. The Knights Club is a donor organization designed to incentivize parents & community members to donate money to the NHE PTA.